Seasonal affective disorder, also known as SAD, is a type of depression that occurs during the same time of the year. It is also referred to as the “winter blues.” Many people suffer from the symptoms without knowing that the seasonal funk they have a difficult time getting out of can be caused or exasperated by a variety of factors, including your circadian rhythm, melatonin levels, serotonin levels and more. 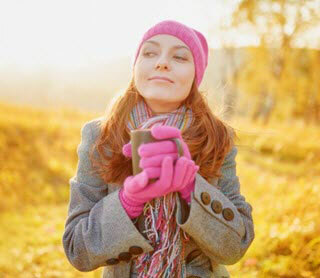 Even those who know that something seasonally is going on don’t often realize that there are a variety of things that can be done to help, including light therapy, medication treatment, psychotherapy, the use of supplements, utilizing mind-body treatments, changing your environment at home and work, getting outside and exercising regularly. Over the course of the next few weeks, our coaches, mental health consumers, and others will weigh in on managing your mood in the winter. At a time when many people are focused on the positives of the holidays, there is no reason for such a large group of people to suffer in silence. Most people who struggle with seasonal affective disorder begin to experience depressed moods, fatigue and other similar symptoms as it becomes darker and colder in the fall. These symptoms often continue through the winter, taking your energy, leaving you feeling sad, moody and, at times, anxious. This isn’t always the case, however. At times, seasonal affective disorder can lead to depression in the spring. We also recognize that many people who suffer from mood disorders, anxiety disorders and psychotic disorders find their symptoms are exasperated this time of year. If you’ve landed on this page, chances are that you or someone you know struggles during this season. Our hope is that you will be able to gain some insight and advice that will be helpful to you through this season.